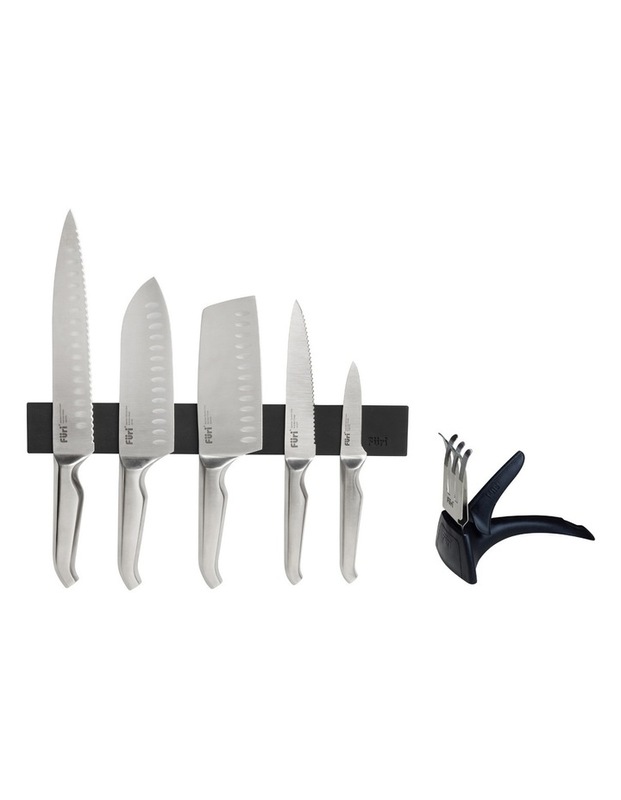 Store your knives like the pros with this easy to install wall mounted knife rack. Its extra strong magnet holds knives securely in place and thanks to its black silicone coating the wall rack is scratch resistant and kind on knives too. Suitable for mounting on tile, brick or wood. The wall rack is also available individually. 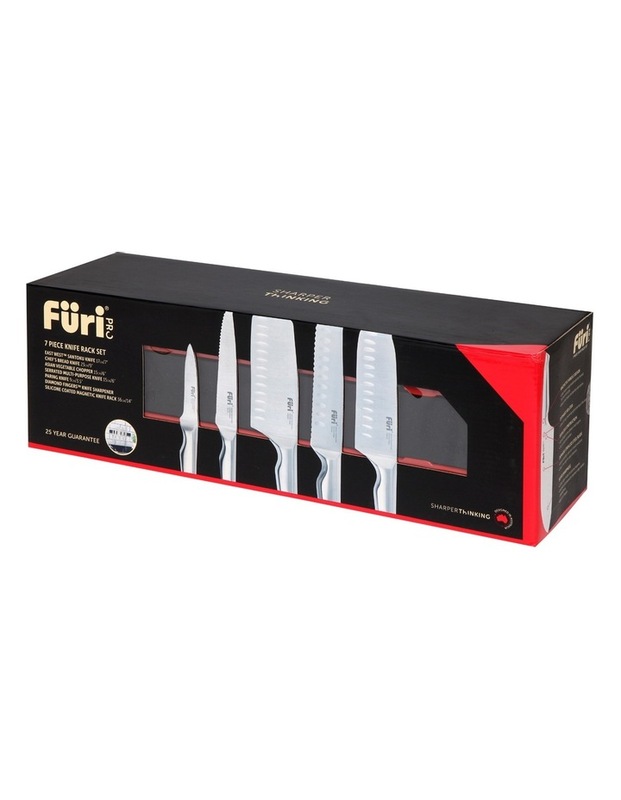 Contains: Silicone Magnetic Knife Rack 36cm (14 inch), East/West Santoku Knife 17cm (7 inch), Chefs Bread Knife 23cm (9 inch), Asian Vegetable Chopper 15cm (6 inch), Serrated Multi-Purpose Knife 15cm (6 inch), Paring Knife 9cm (3.5 inch), Diamond Fingers Knife Sharpener.